Thank you to all our supporters – sponsors, prize donors, volunteers and of course guests! Without you the Refugee Ball would not have been as wonderful! 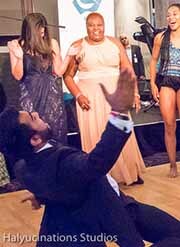 For more information, photos and a video, please have a look at the Refugee Ball website: http://www.refugeeball.org.au/ and at our Facebook page. 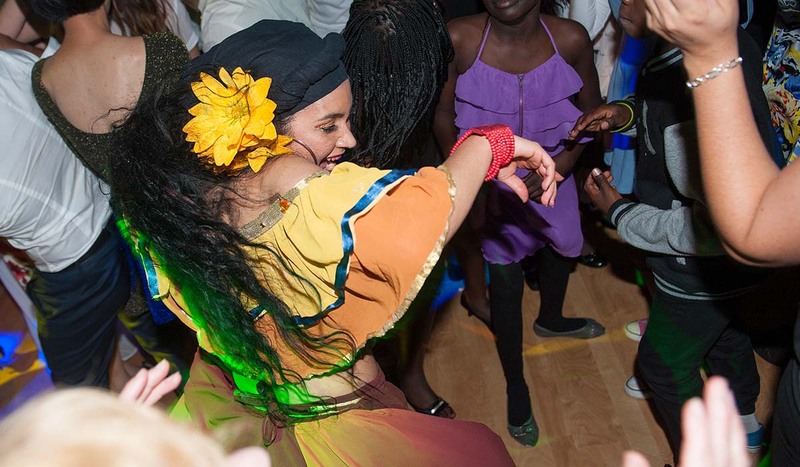 The Refugee Ball is our biggest event of the year, to support and raise funds for a specific project. This year, we raised almost $40,000.00 for an exciting new arts project for young refugees in Western Sydney, using music and art as therapy and creating a fantastic opportunity for cultural and skills exchange with students of Conservatorium High School of Music. The end result will be showcased at Riverside theatre in Parramatta. This year’s Ball will was held on Thursday 3 November 2016, at Dockside (Darling Harbour, Cockle Bay Wharf) from 7pm to 12pm. 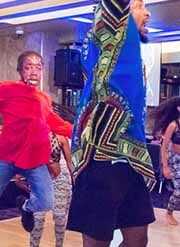 On the night, we presented raffles, live and silent auctions, inspiring presentations, African dance from the group Afrodisiaq and live music from David Barbosa, C Major + Son Veneno, and singer Abraham Eid with his unique blend of Arabic music. 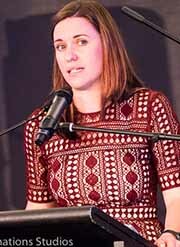 This year’s key speaker was academic Erin Watson-Lynn, a Lecturer in Entrepreneurship at Monash University. In 2015, she was an Australian delegate to G20 Youth Summit in Turkey and in 2016, to the G20 Young Entrepreneurs’ Alliance in China. As an economic sociologist, Erin has made several comments in the medias regarding refugees and employment.